Quantum Air Technology are global leaders in providing clean air & containment equipment and services into defence, medical and life sciences market sectors. As this requires a high skills base, we are able to offer our technical resource to develop and supply innovative products and solutions to third party companies. Should you have a problem that requires an engineering solution which does not currently exist, contact us to help you to find it. 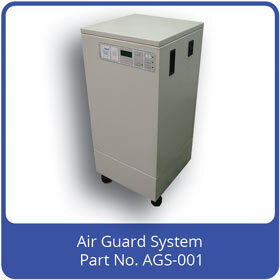 The Air-Guard uses the latest military technology to bring biochemical threat defence to your building or home. About the same size/weight as a portable air conditioning system, a fan/filtration system takes air from outside a room, filters it to remove hazards, then ventilates into the room to maintain a positive pressure relative to the outside. This action both removes the airborne threat and ensures any leaks in the room's fabric are outwards. The instrumentation and control system is automatic and gives the end user information on how well sealed the room is. As the world becomes more volatile and biochemical weapons are increasingly easier to obtain, the Airguard can offer peace-of-mind in protecting personnel against airborne threats. Apart from its own products, two examples of which can be seen above, Quantum Air Technology also make control systems and complete products for other companies (as an OEM or original equipment manufacturer). 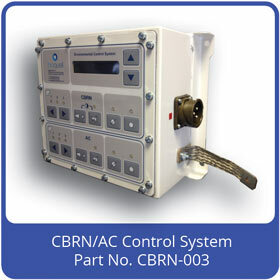 QAT makes a wide range of control systems in many different configurations. They can be supplied in any type of package and firmware can either be standard or specifically written to a customer's requirement. 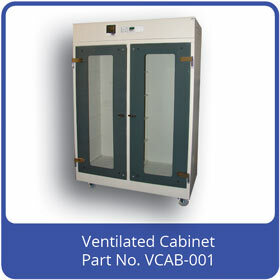 The ventilated cabinet incorporates an integral fan/HEPA filter system that draws in laboratory air, filters it into the cabinet, then recirculates it back to the room via an exhaust HEPA filter. Anything inside the cabinet is protected from contamination, and the room is also protected from any product related particles, for example, allergens. 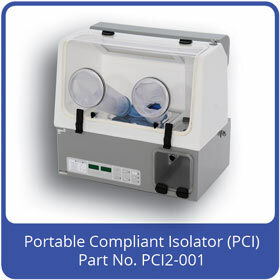 This type of cabinet is ideally suited to life sciences applications but may also be used to store and dry forensic evidence. Sign up to our regular newsletter for latest news in biological, chemical and radiation containment. Just put your e-mail address in the box below and click "Sign Up"
Speak to a Quantum Airtech techincal advisor! Just type your question in the box below & click "SEND"